There are 5 motifs waiting to be created by you in this course: a makeup bag, a pin cushion, a coin purse, a dove pouch, and a stuffed bear doll. Once you purchase the course, everything you need to create the motifs, including but not limited to Chirimen crêpe fabric, sewing needles, thread, and a patchwork board, will be sent to your mailing address. You will be able to start creating as soon as you receive our package! You will also have help online in the form of our detailed How-To Videos. These videos are designed to walk you through how to trace the pattern, cut the fabric, sew it, and apply finishing touches with, of course, all the other steps in between… for each and every motif! There’s no room for confusion or anxiety; our courses only have room for fun! Anytime, anywhere online video instruction. Access to online message with our Sensei (master) Chirimen crafter for tips. 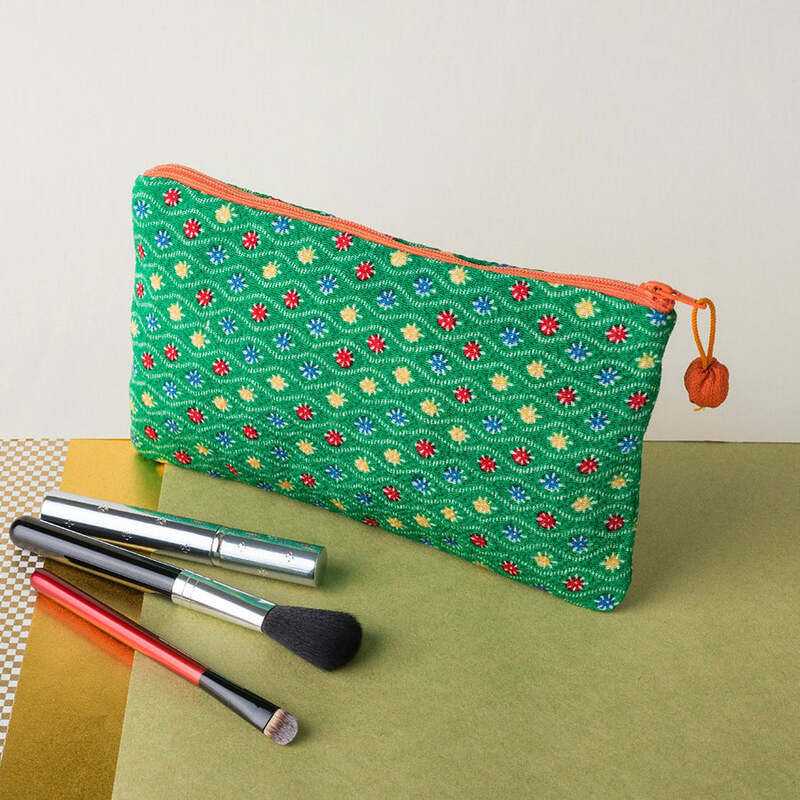 Let's make the flowery cosmetic bag perfect for carrying toiletry items! In Japan, small daisies symbolize “activeness”, or being energetic. 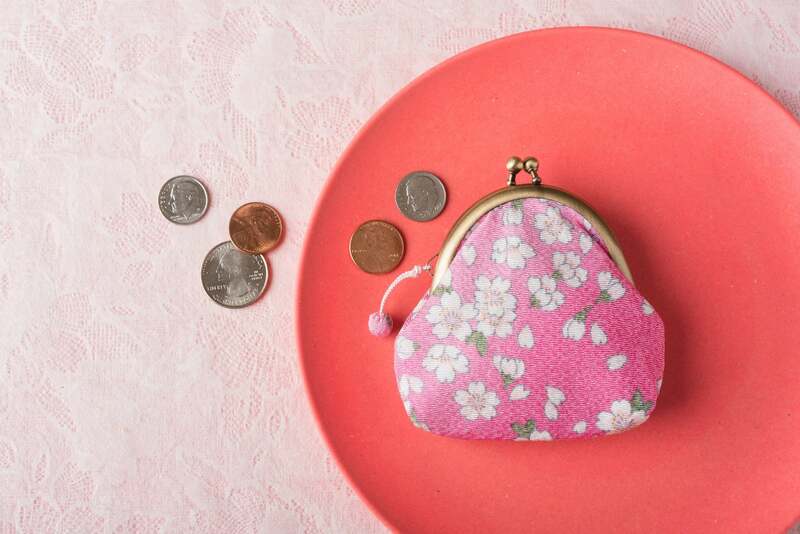 This flowery cosmetic bag is perfect for carrying toiletry items on the go. The zipper is carefully sewn between the outer fabric and the backing to keep the opening beautiful and durable. 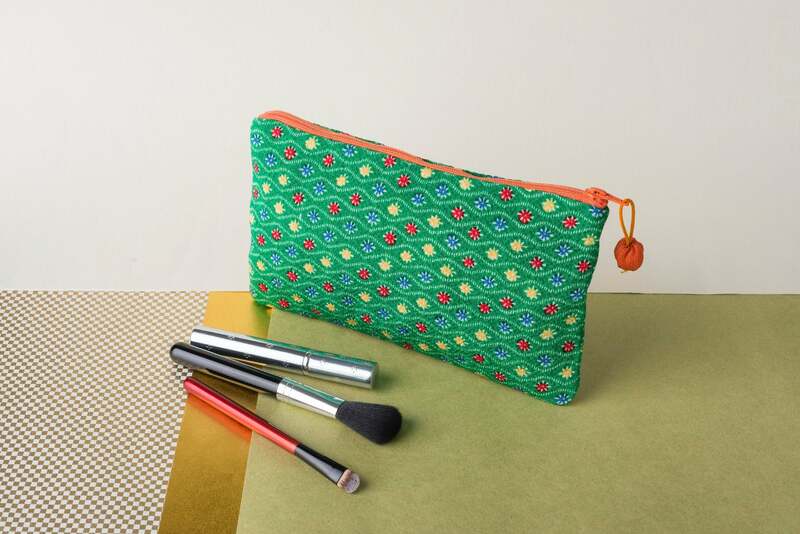 This bag can be utilized as a perfect storage case for any purpose: cosmetic pouch, pencil case, stationery, accessories, craft tools etc… you name it. Let's make the pink purse that has much more than its cute looks! 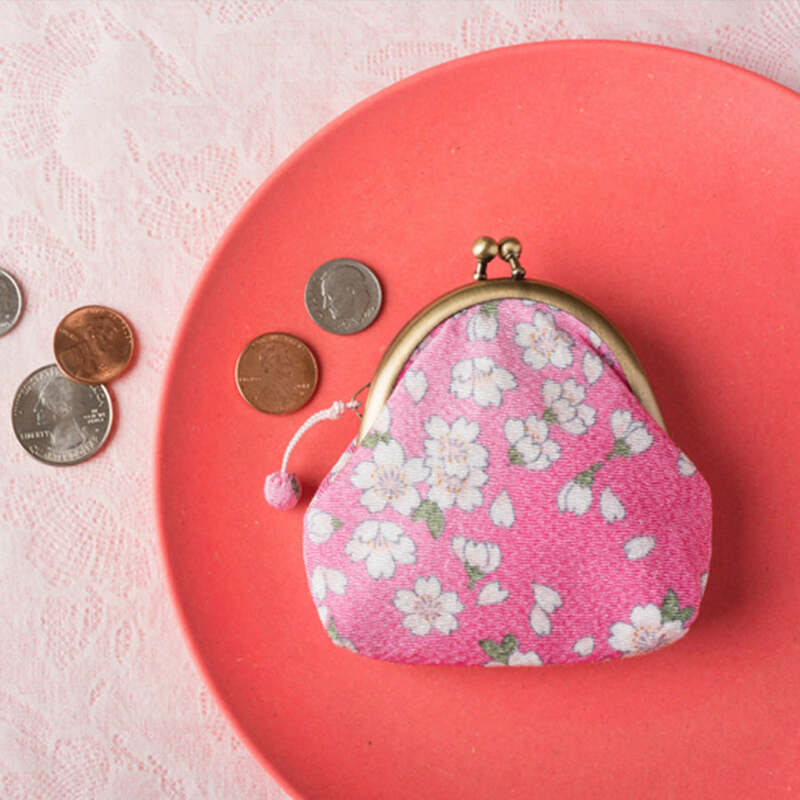 This pink purse may look like just a cute pouch, but it has much more than its pretty looks. It is so easy to open and close with a convenient 2-finger twist and pinch, with a wide “mouth” that makes it simple to pick out the correct amount of change in a quick glance! The space inside the purse is limited, but large enough to place loose change, keys, and folded money. You may also use it as a small cosmetic pouch to keep your lipstick or a pack of facial tissues in as well. 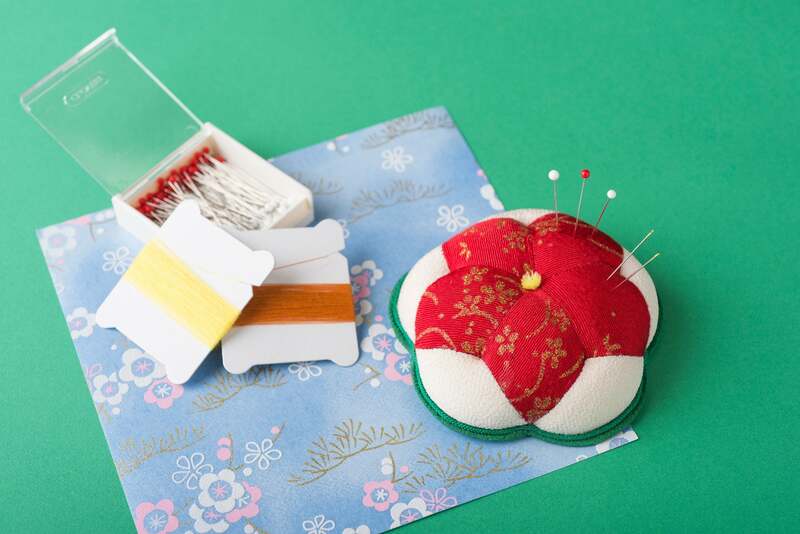 Let's make the pincushion, a sewing necessity! 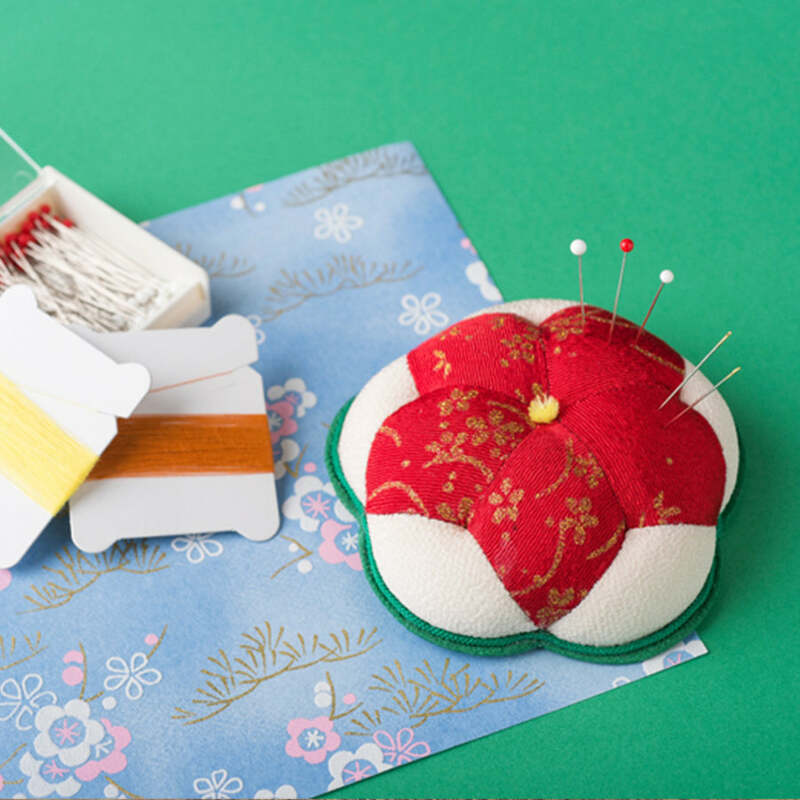 Pincushions are a sewing necessity. Why not make one that's as artistic as you are? Dimples and braided cords turn this flower motif pincushion into a patchwork masterpiece. Plum blossoms are some of the first blossoms to open during the year in Japan, so it evokes the idea that they will bring new luck in the future. 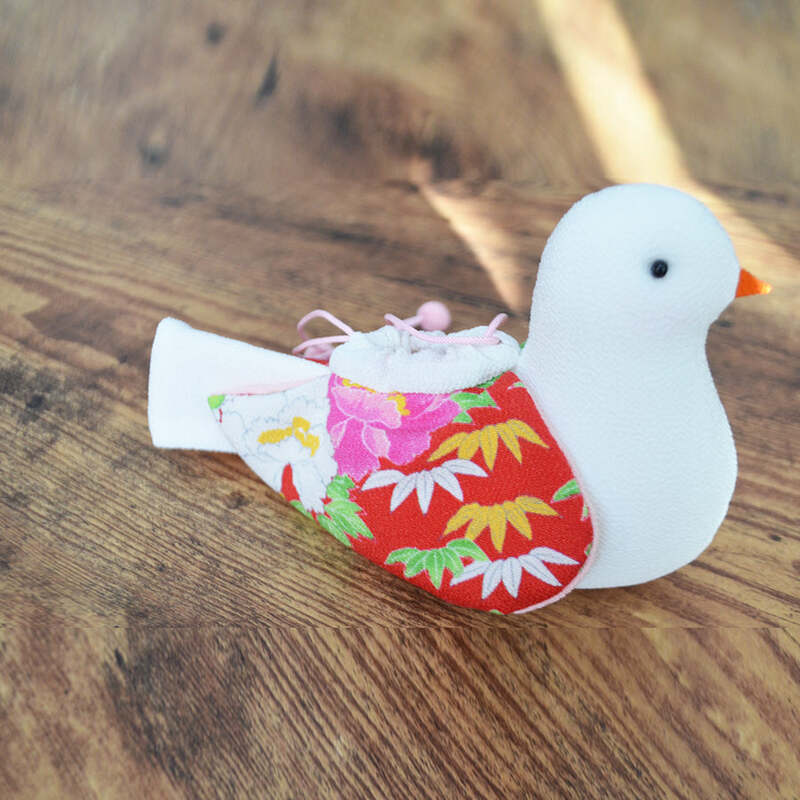 Let's make the little bird which you can store precious things safe inside! 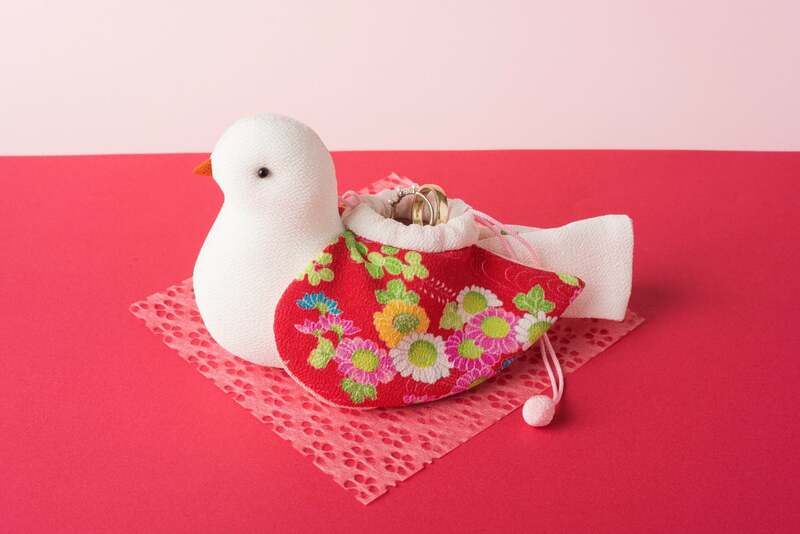 This little bird with festive wings fully in bloom has a small case in the back which you can use to store precious things safe inside, making this graceful pouch perfect to be used in many occasions such as in weddings, for an anniversary, as birthday presents, etc. Let's make the bear with a loving face and soft snub nose! 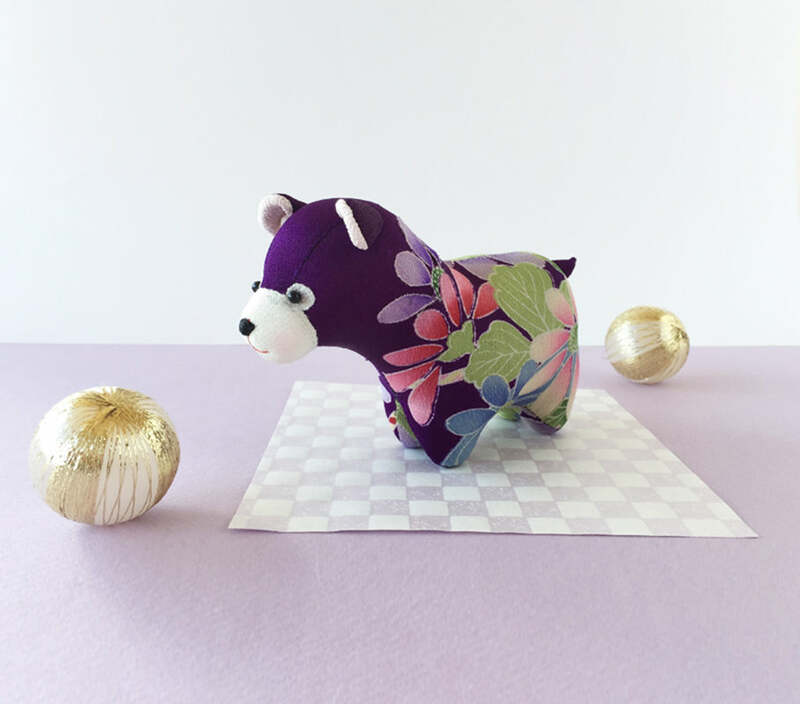 Inspired by an old kimono pattern with an intricately stained flower and its bowl patterning on dark purple fabric from Kyoto, this unique bear brings a truly exotic charm to your décor. 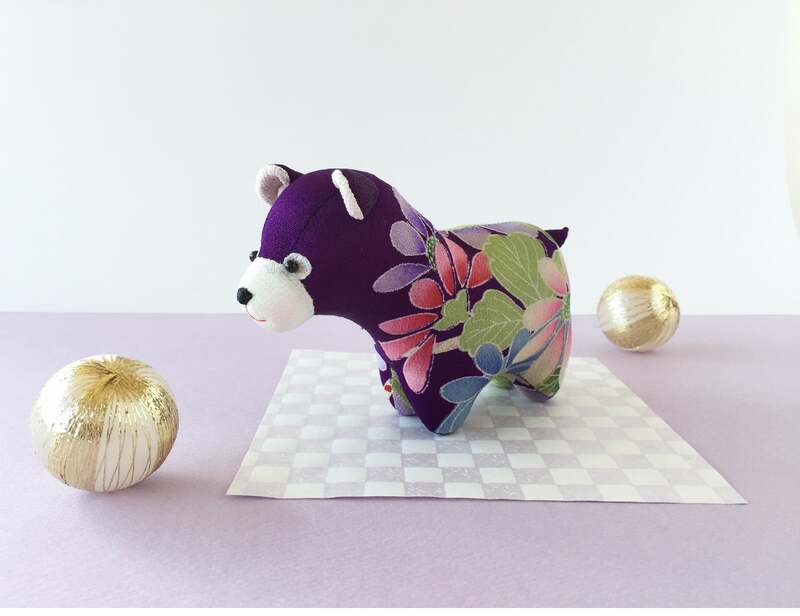 With loving eyes, a soft snub nose and cocked ears, the kuma is sure to bring a smile to any face.